While thousands are counting down the days until they arrive in Black Rock Desert for Burning Man this year, there’s already a number of people out there on the playa getting things ready….. and they’re calling and tweeting back to us looking for someone to bring the things they forgot. Yes, that’s right there is cell service on the playa this year. How do I know? I got a call from Rubin while he was sitting at the space reserved for our camp (Ardent Heavy Industries). In addition several others are tweeting up a storm: @SFSlim, @steve23, @Rubin110, @TKimball, @JosephPred, and more. And of course foursquare had to get in on the action and quickly added Black Rock City to their database so people could check in. As of this writing, SFSlim is the Mayor of The Man but we predict this to change once Steve23 hears wind of it. The cell service appears to be limited to AT&T and Verizon, but from what we hear people are getting 5 bars inside Black Rock City. Apparently the service is mostly coming from a temporary tower that was installed on some leased land near Frog Pond, which is less than a mile from the trash fence that marks the border of Black Rock City. How are they doing it? According to @ChrisPetrell it’s a combination of solar/wind powered tower with a satellite uplink. It’s not official Burning Man cell coverage and the Burning Man Org has nothing to do with it, but DPW and other volunteers already on the playa are using it. In addition to this temporary tower, there are also permanent AT&T and Verizon towers south of Empire that people are reporting service from. And finally, there is a theme camp that is providing a GSM->VOIP gateway. I’m assuming this rumored theme camp is the same as the OpenBTS project I posted about last year. Important cell phone update: Temp site only supports 23 Verizon/CDMA users and no SMS. AT&T/GSM supports 35 users with SMS but limited EDGE. This means you’ll have quite the battle with 40-50,000 other attendees if you need to make a call home. Rubin mentioned that he was already having trouble and the event is not due to start for almost a week. I think it’s still appropriate to tell your boss/significant other/etc that you are not contactable while out on the playa. Besides, do you really want to get that call about the firewall going down while you’re in the middle of 2pir surrounded by an actual wall of fire? 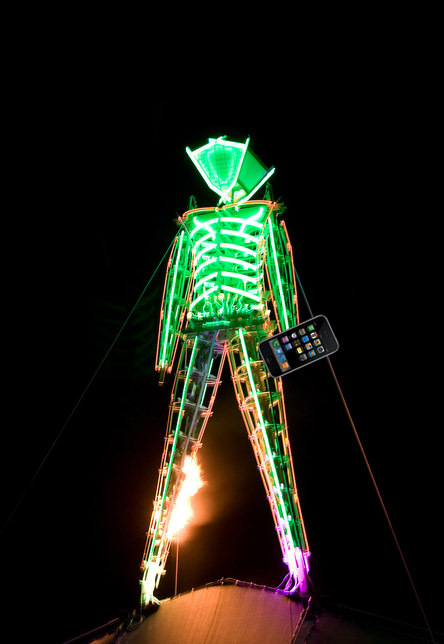 What do you guys think about cell phones on the playa? Good, bad, who cares? @somecoolguy Your latest album is awesome! Thanks for the great drum and bass tunes! I will not see this tweet in my stream and I would potentially miss out on finding out about @somecoolguy and his awesome music. Or maybe @somecoolguy is in fact that person that Colin introduced me to at the party last week, but we never thought to mention Twitter names. When I see Colin @replying to him on Twitter I’m able to start following him myself. If I never see Colin’s tweet, then I’ll have to manually hunt down Some Cool Friend. Just like on other social networks, I watch who my friends are talking to because chances are their friends are interesting and quite possibly are my friends already too! So, enough explanation, if you’re someone that this bothers, you’ve probably already realized it. I urge you to post to Twitter using the hashtag #fixreplies and #openreplies in order to bring Twitter’s attention to the fact that thousands of us want this feature back. 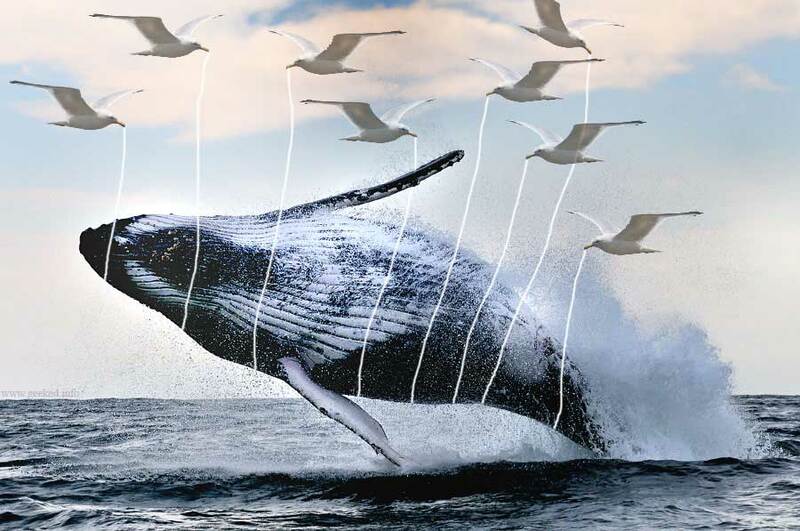 I threw together this image even though we see less and less of the Fail Whale these days. (Thanks @netik and crew!) Hopefully our friend will some day be as rare as the chance of seeing the above. Last night while watching Juno Reactor at The Independent here in San Francisco I hit my 3,000th tweet. The comment was in regards to the completely unexpected Juno Reactor show. I had never seen them live, and had only heard the music in soundtracks or on my ipod. They came out with an intense energy and an interesting stage show with only the performers. The music felt like The Matrix, the female vocalist looked like Pris (Daryl Hannah) from Bladerunner, and there was a definite tribal feel as horns (real ones, not brass) were played amidst unbelievable drumming. Anyone else out there a statistics junkie? Yes, I’m looking at you, the one with a last.fm account who’s adamant about scrobbling every last mp3 you play so you can generate fancy charts. Well if you’re a Twitter user, you’ll be happy to know about Tweetrush. 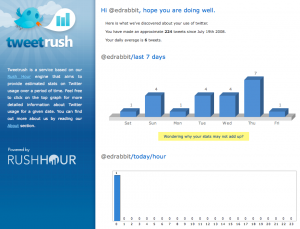 Tweetrush is a site that will spit back statistics on how many twitters/tweets you sent, what time of the day you send them, etc. Currently they’re only showing stats for the last 7 days, but they’re using data from Gnip, which parses Twitter’s full data feed of all the tweets. This means they could theoretically parse more data as long as they have the servers to handle it. Want to see my (weak) stats? If you’re missing out on my low traffic Twitter, you can follow me here. However TweetRush isn’t just a fun little Twitter site. It’s a test of the new RushHour engine, an analytics system for measuring actions and events as opposed to raw page views and clicks. RushHour might be just the thing that many sites are looking for to get a more detailed analysis of how people use their site. 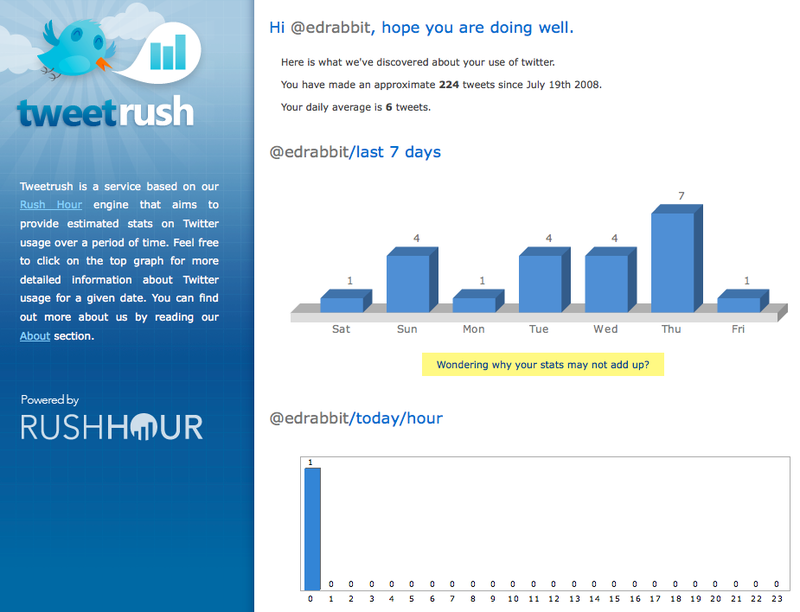 Unfortunately it’s under a closed beta right now, but you can apply to get into that beta over at rushhouranalytics.com. 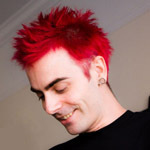 Wow, Critter already sealed the title of “Best Geek Ink” long ago with his Seesmic, ColdFusion, and Adobe Air tattoos. (Did I miss any Critter?) Oh yeah, there’s also the Twhirl tattoo. But now he’s taken it one step further to get another piece of the web tattooed on him. 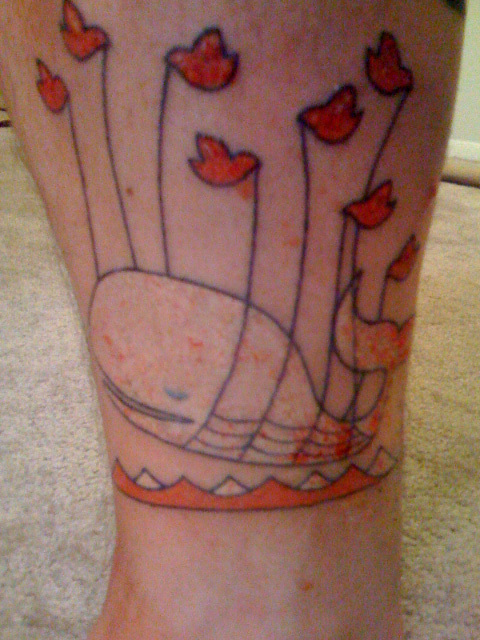 This time it’s the ever lovable Fail Whale from Twitter. He says the white on the whale will show better once it’s healed up. 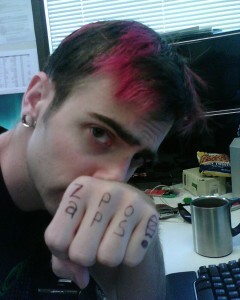 Looks like Zappos is doing a Twitter experiment while they’re in town visiting the Twitter offices. Not sure what they’re up to, but I’m game. I’ve currently got it set up to send to twitter when a post goes live on here. So in theory, when this post went live, it should have shown on my Twitter page. UPDATE: Looks like Twitter Tools will post any edits to a posts if that blog post has not been twittered yet. Sorry for the twitter flood when I removed the “Uncategorized” category from a couple old posts. I’m going to look into manually adding the “twittered” metadata to all my posts so it doesn’t happen again. UPDATE 2: Threw together a quick little php script to update the database so old posts aren’t twittered when they’re edited. YMMV, User beware, no warranty, etc. You’ll want to make a backup of your databases, then fill in your username, password, and database_name and then run this either from command line or via the browser. print " -- added metadata to fake it. print " -- already been twittered.